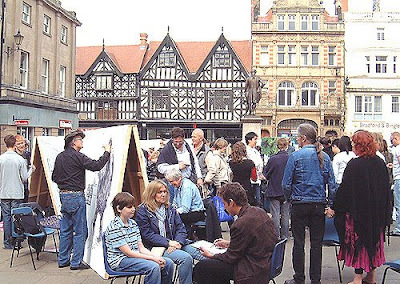 The Shrewsbury International Cartoon Festival website has been updated, with details of this year's events. The festival takes place from April 23-26, with various exhibitions in April and May. There's more at The Bloghorn. This will be my fourth time at the festival. Here's what I got up to last year, and in 2007 and 2006. Or click this link for all my Shrewsbury- related posts.